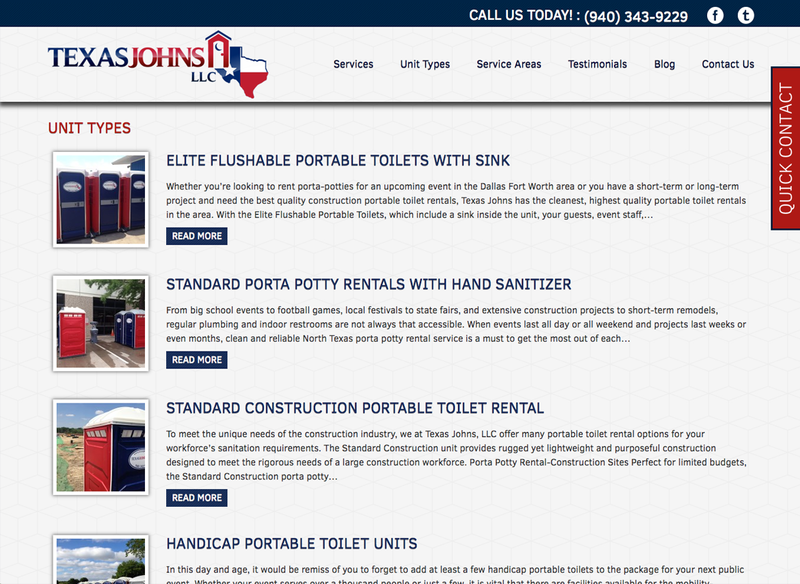 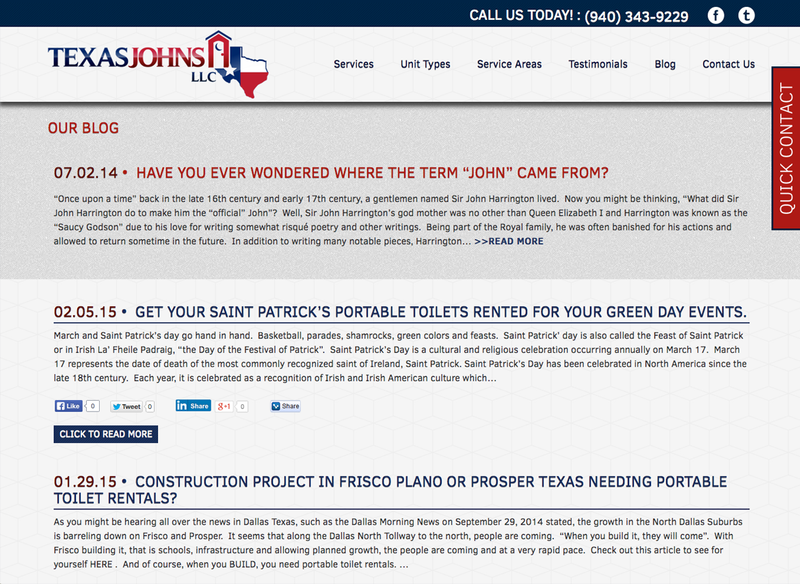 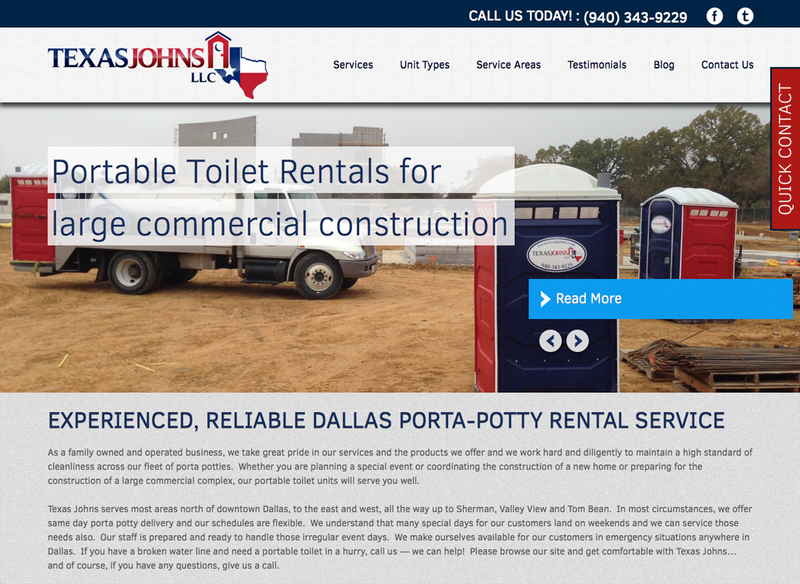 Texas Johns is a large, North Texas supplier of portable lavatories and wash stations. 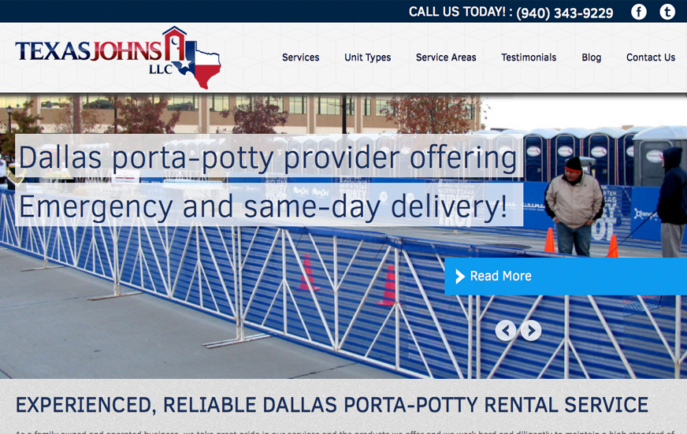 Their website is full of information from unit types to services, assuring potential customers that no event is too big for them to handle. 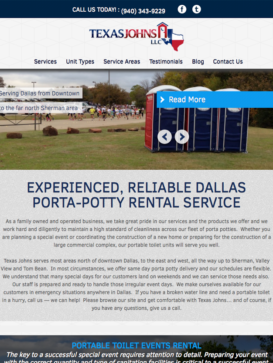 An ever-present quick contact form adds even more efficiency to excellent customer service.